The State of Illinois requires individuals planning to become commercial truck drivers to have a commercial driver’s license. Obtaining a CDL in Illinois mainly involves passing a written exam; road skills test; as well as complying with several state and federal requirements. Depending on your schedule, you can become a commercial truck driver in a matter of a few weeks. To help ensure that you successfully obtain a CDL, it is encouraged that you enroll in a certified truck driving school or program. These programs are divided into a classroom portion and a hands-on portion. Most programs offer more than just proper instructions on how to get a CDL; they will also teach their students the essentials to succeed in this line of work. As one of the biggest trucking states, there are over 51 schools and programs you can choose from. Listed below are examples of the truck driving programs offered. To submit a CDL training school to this list you can use our contact form found here. With your submission, please include the name, location and phone number of the school. To get an Illinois commercial driver’s license, you will have to comply with several state and federal requirements first. This includes being physically fit, having visual acuity, having a good working knowledge of the commercial vehicle that you will be driving, and having a good background in some instances. Strict compliance is required in order to maximize state and national safety and security on the road as well as from any untoward activities. There are also various types of fees which shall be charged upon application for CDL. First and foremost, you have to be of legal age before trying to apply for a license. This means that you have to be at least 18 or 21 years old when you apply for the license. Interstate driving is not allowed for those who are below 21 years old but they are allowed to drive CMV inside the state. Aside from that, you will also have to be physically fit based upon the certification issued by a medical professional on your DOT medical form. There are certain rules for those who have conditions such as those with insulin problems and this may come in the form of restrictions. The next thing that you have to attend to is your visual acuity. The DMV allows those who need corrective lenses to acquire a CDL in Illinois. The only thing that you have to possess is a 20/40 vision with those corrective lenses on otherwise; you may also be issued a license with restrictions such as driving only during the daytime. The state may also require you to have a basic knowledge of the English language for understanding road signs as well as of communicating and recording driving logs. Having a clean driving record is an important factor as well. Make sure that you do not have any serious traffic violations during the past few years in order to have a quicker application process. Aside from this, you also have to study the Illinois CDL Manual in order to pass the written and road tests. The manual is provided free of charge in any driver’s license office and is a good source of information as to commercial driving. It also includes the specific areas in which you will be tested on during the tests. So make sure that you have studied the manual well before taking the written and road tests. 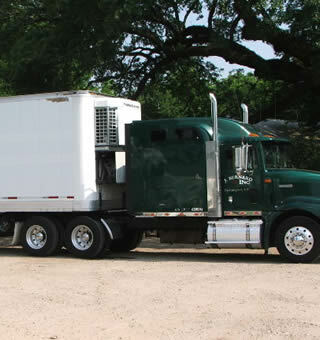 If you pass the written test, you will be granted a CDL permit which is valid for a few months. 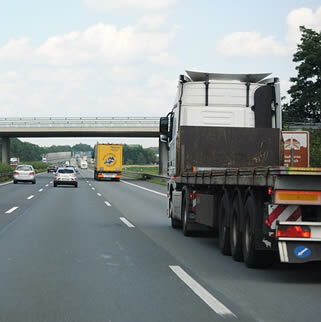 During this period, you will have to practice your CMV driving skills to the best that you can in order to pass the road test that will be administered. An Illinois commercial driver’s license will only be issued if you pass the road test successfully. If you fail, you do not have to take the written exam again but you will have to wait for a certain period of time in order to retake the test. The license fee is $60 for new applicants and $50 for those that have to be renewed. This directory page lists the current truck driving schools in IL that can help you prepare for license testing. To learn more about DMV requirements you can contact them through the info below.